I've been sitting here at my computer, racking my brain, because I can not remember where I originally saw this idea. I think it was from Jodi, but I honestly could have seen it elsewhere. This is not a new idea....just something new to me. In Nevada, we don't have to keep records of what we teach our kids each year. Although it is not required, it is something I have done, so that my kids can look back at the things they've done. Most of their work is in boxes in our shed, categorized by age (I know very uncreative). 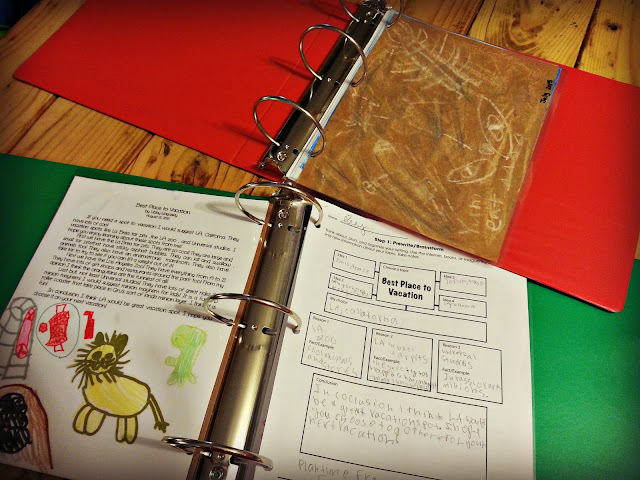 It wasn't until this year, when I saw some homeschoolers creating scrapbook binders for their kids, that the creativity bug bit. 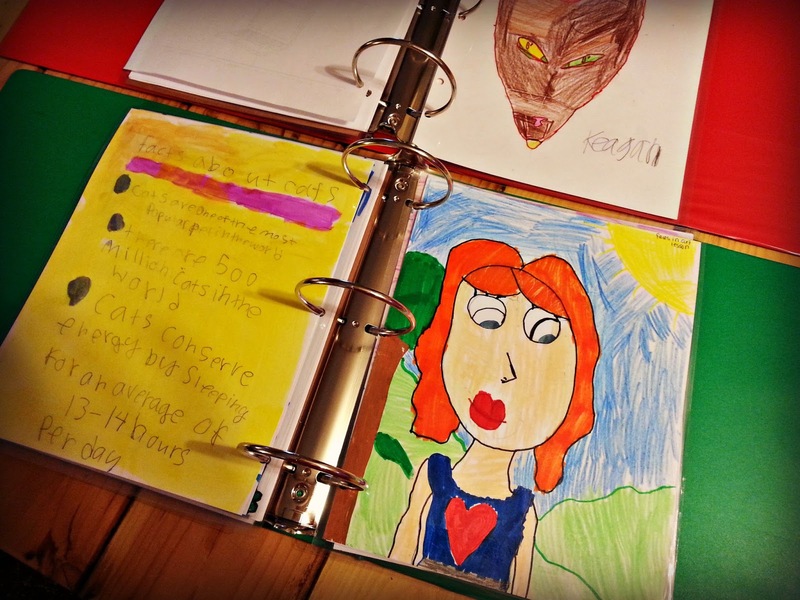 I loved the idea of a homeschool year scrapbook binder! What a fantastic way to truly capture the school year! I ordered a pack of 200 laminating sheets off of Ebay, grabbed two binders from Big Lots, and started putting stuff together. As we finish projects and assignments, we pick their best work and laminate them. 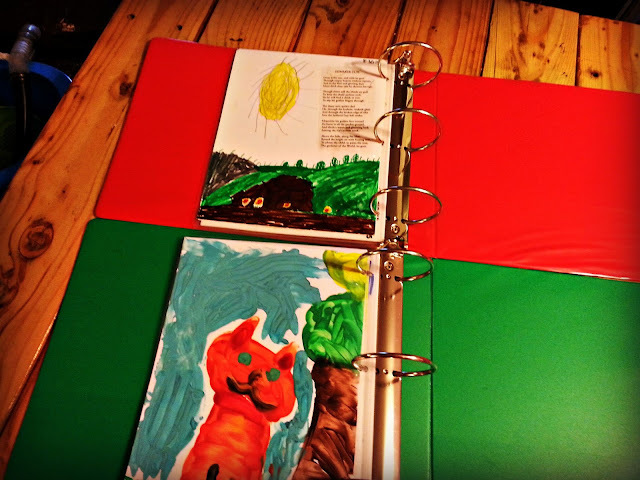 I have a holder where they can place work they would like added to their binders as well. I am planning to keep a binder for each school year. It will be amazing to look back and see how they've grown. I am also planning to print off pictures from our field trips and various experiments, so the kids can journal the things that they've done. I have my first batch of pictures waiting for me to pick up at Costco. I can't wait to see how this binder looks, as it gets filled with projects throughout the year. The kids are really excited too! I am thinking about covering the binders with fabric as well...maybe let them each pick a favorite fabric, so their little personalities can shine through. I'll keep you updated on how our binders evolve this school year. Does anyone else keep a homeschool binder or school binder of your kids work? How do you guys keep it update and organized?